There have been quite a few people who have tried to discredit the Patriots defense this week, but Kyle Shanahan isn't one of them. The Falcons offensive coordinator said he is "mind blown" that people have criticized the defense and called it the best the Falcons have seen all year. 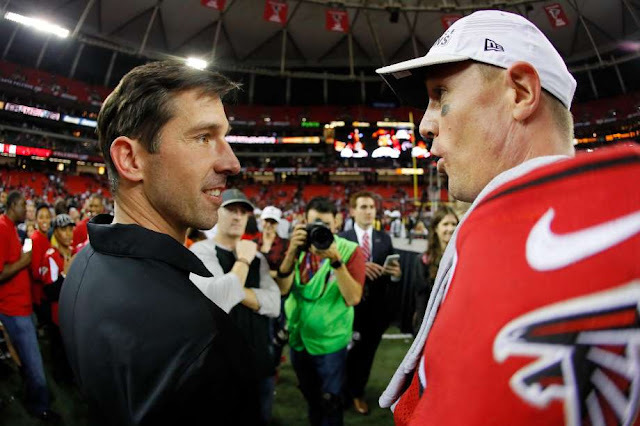 "That blows my mind that people would be doing that,'' Shanahan said. "It's the best defense that we've seen in the NFL this year. The numbers show it. And watch the film and you see exactly why their numbers are the way they are. They are extremely tough to score against. That's why their No. 1 in the NFL. I believe only one game this year someone scored 30 points. There are so many numbers to dissect, but this Falcons offense is the best in the league going up against the Patriots' No. 1-ranked scoring defense, which will be the most intriguing match up in this game.